Most recent additions: Shalom to y’all from Dave and Claire Winer! Welcome to “The Jewish Messiah.” This website is dedicated to our Lord, Yeshua/Jesus, our Savior. What makes our faith Messianic is that the people in our congregation and I keep the Word of God as completely and fully as we possibly can. The Word of God is perfect and inerrant. We try to live as our Lord and Savior did, and keep the commandments as He did. The “Great Commandment says it all, to love God and our neighbor as ourselves. Ministry is prime importance! Reading the Word of God daily, worshipping and praying to our Lord, and trying to help all those in need is our goal, as it was that of Yeshua. Our place of worship is in our home, realizing that we are the church. The church is not the building but us. The word for church in Hebrew is “Kohelet,” which means gathering. It’s not where you gather that counts, but that you gather in Yeshua’s Precious and Holy Name, to do his will, and to learn how to live according to every Word in the Tanakh/Old Testament, and in the New Testament. It’s all one book. PLACE OF WORSHIP AND STUDY: our home, at 508 E. 15th St., Lumberton, N.C.
TIME AND DAY OF STUDY: Tuesday evening from 7 to 9 P.M. (we are very informal, so come as you are.) We encourage active participation in the study. Everyone’s input is very valued and cherished. TIME OF DAY OF WORSHIP: Friday evening, Shabbat/Sabbath, from 7 to 9 P.M. If you or someone you know is in need, I am here to help you, to help yourself. I will not give you a handout, but a hand up. I pray that you enjoy this site and get closer to God as the result. If you have any additions or corrections, please feel free to call or write! Y’all be blessed! DANIEL 9 (24-27) is a page that will give an answer to “When will the Messiah come?” God was very clear on the when, where, why and how the Messiah will come. He wanted these answers to be very very clear to us! After all, God Himself came in the flesh many times previous to this. He came as THE MESSIAH over 2000 years ago to save us from our sins. In these passages, God shows us that the Temple in Jerusalem had to be rebuilt for the second time, that the Messiah would come to forgive sin, that offering and sacrifice would come to an end, and that the temple would be destroyed again. God told us that this would happen in 490 years after this major Messianic prophecy, and of course Yeshua did come in exactly 490 years. Please remember; a real Jew and anyone who wants to be forgiven and enter Heaven must believe in God, our Messiah, Yeshua (Jesus in the Greek, Messian in English) or they will die in their sins and be bound for Hell. It’s your choice. God told us all about His coming as the Messiah. He wants us all to be saved. Do you want to be saved for all eternity and enter Heaven? Please take a look at TICKET TO HEAVEN and make a decision today before it’s too late. God bless you! WHAT DID PAUL SAY AND DO is being written as a follow-up to the other page on my website titled WHAT DID JESUS SAY AND DO. Jesus said in Mark 1:15, “REPENT and BELIEVE IN THE GOSPEL.” When Jesus came back from the dead after He was resurrected, He said in Matthew 28:19, “GO AND MAKE DISCIPLES OF ALL NATIONS BAPTIZING THEM IN THE NAME OF THE FATHER, THE SON AND THE HOLY SPIRIT.” Was Paul’s message any different? Let’s see! Often we see these initials today, W.W.J.D. (What Would Jesus Do?) I decided to go a step further and find out What Did Jesus Do and Say? I hear in churches, and from people, that we don’t have to do anything to be saved except believe in Jesus, so I wanted to make sure that I went directly to the source and find out exactly what Jesus said about this. Jesus came to save us from sin and to serve as a model for our behavior. Jesus came, not to be served but to serve others, modeled in Jesus’ washing of the feet of His disciples. Let us serve one another and all mankind as Jesus did! MIRACLES IN MY LIFE PAGE: God has been doing some miraculous things in my life lately!!! It appears (and I say this in all respect to the power of God and not me!) that the Lord has blessed me with some healing powers. To see the miracles that have been happening through me, please check out my latest addition on the top of the MIRACLES IN MY LIFE page (click on page to left). Guest miracles page : New addition, thanks to a gentleman from Charlotte North Carolina! “APOLOGETICS FINAL”. Added on July 26, 2005 This is a reproduction of my final exam from the Apologetics class that I took this summer. I hope that you find this information as intriguing as I did. Apologetics is “the proof that the bible or Tanakh is in fact the perfect and inerrant Word of God, not a myth or fable, but the truth that the universe was built upon. No one has ever proven God’s Word incorrect or contradictory, for that matter! Enjoy! 1) The argument from Design. If you found a clock and examined the mechanism within it, you would probably think that this intricate mechanism was not the outcome of mere chance, that it had been designed. Now look at the universe; is it possible that such an intricate mechanism, from the orbits of planets round the sun to the cells in your fingernails could all have happened by chance? Surely, this enormously complex mechanism has been designed, and the Being that designed it must be God. In Daniel 9:24 God tells us that the Messiah will come in 490 years from the time of this prophecy. It also says that the temple will be rebuilt before the Messiah comes to save His people. The Jews, God’s chosen people, were allowed to be taken into exile by the Babylonians because they were not following God’s Word. They lost faith and trust in God. They lost the temple. The temple was rebuilt, and 490 years after this prophecy Yeshua (the Deliverer in Hebrew…see Isaiah 12:2,3) was born. 37 years after Jesus/Yeshua was crucified, the temple was destroyed again and has been to this day. Many Jews didn’t believe in the Messiah, who God had promised to send to save His people. God is trying desperately to tell His people that they MUST listen to Him and His prophecies! The temple will be rebuilt one more time, before the Messiah comes again, for the last time, before Judgment Day. Please don’t wait until then. Accept the Messiah NOW! If you are Jewish, as I am, stay Jewish and join a Messianic Congregation and accept the Messiah who God sent to us 2004 years ago! Don’t ever give up or lose your Jewishness. It is too precious to us. Share it with others. Act like one of God’s chosen people and receive the many blessings He has for YOU! Ask Yeshua to come into your life today. If Yeshua had only fulfilled 8 of the prophecies that spoke of His coming 2000 years ago, the odds would have been 1 in a trillion, trillion, trillion, trillion, trillion, trillion, trillion, trillion, trillion, trillion, trillion, trillion. To give you some idea how many this is… Make a fence around Texas 2 feet high. Fill this area (Texas) with silver dollars. Paint one of the sliver dollars black (mark it) and hide it somewhere in Texas. Blindfold someone and send them in this area and ask them to find the silver dollar. Jesus had the same odds to be the one to fulfill only 8 prophecies. He fulfilled around 300 hundred!!! Ain’t that somethin’! God never said to change religions or convert (from Judaism). So what am I saying, and what are my options? (If you’re Jewish, just believe in the Messiah and become a Messianic Jew. Keep your heritage and faith. Just believe in God’s promises, which He gives us in prophecy, that the Messiah has come for YOU already). Tanakh and Jehovah Witness prophecy and scripture (Yeshua/Jesusis God)! Cover sheet for FREE TICKET TO HEAVEN and Tanakh Prophecy about the Messiah. What did God write about the Messiah, the promised one, the anointed one of Israel? Do you know of anyone who fit this description? I DO! GOD DOES! DO YOU? This has been 57 years in the making. Please read my story and let me know what you think. It would be an honor to hear from YOU! Who else matters? Thanks. 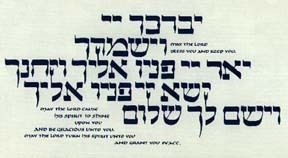 To reach my Jewish brothers and sisters and to bless them with God’s prophecies of a Messiah (written in the Holy Scriptures that I got for my Bar Mitzvah (June 4, 1960). To give my Christian brothers and sisters the Jewish perspective of why Jews believe or don’t believe in a Messiah (who has come and will come again). To reach everyone in the world with God’s Word and saving power in Yeshua. We have a choice of Heaven or hell (please see the LIFE TO DEATH page for full explanation). Revelation 21:3 says, “Behold, God’s dwelling is with the human race. He will dwell with them and they will be His people and God himself will always be with them. He will wipe every tear from their eyes, and there shall be no more death or mourning, wailing or pain, the old order has passed away. “Revelation 21:18 tells what the New Jerusalem will be like; “The wall was constructed of jasper, while the city was pure gold, clear as glass. The foundation of the city wall was decorated with every precious stone. “Revelation 21 in general tells us about the New Heaven and the New Earth and that God will be there with us to care for us and fellowship with us for all eternity. What a great promise and comfort to all of us! What a great God we have! How did He forgive sin? How did He heal the sick, the blind, the lame, the deaf and the leprous? How did He bring several people back from the dead? How did He come back from the dead when over 500 people saw Him (with the nail prints in His hands and feet and the spear mark in His side)? When will your Messiah come? Where will your Messiah be born? How will your sins be forgiven if there is no more blood sacrifice (in Solomon’s Temple in Jerusalem) on Yom Kippur (the Day of Atonement)? I have asked these questions of hundreds of my Jewish brothers and sisters, and rabbis. The answer keeps coming back, “I don’t know.” I wonder if they actually don’t know or they just don’t want to admit it. My father disowned me for a couple of weeks when I accepted Yeshua, but he loved me too much to stop loving me as his son. I had no choice, though. I believed in God’s Word, and I had to act on it. I am so glad that I did. You will also be blessed and comforted when you decide to accept. Your life depends on it. Please contact me if I can be of some help in your decision. I have never regretted my choice for a minute! It’s all in God’s Word. All we have to do is read, understand and believe what God tells us. Don’t believe in man’s words but believe in God’s Holy and inerrant WORD! Always pray for God’s help in understanding His Word before you read. God bless you in your search for God’s truth! PLEASE email your comments to the address below. Please be honest. I will get back to you as soon as possible. and grant you His peace.